Everybody loves to go Into The Woods. 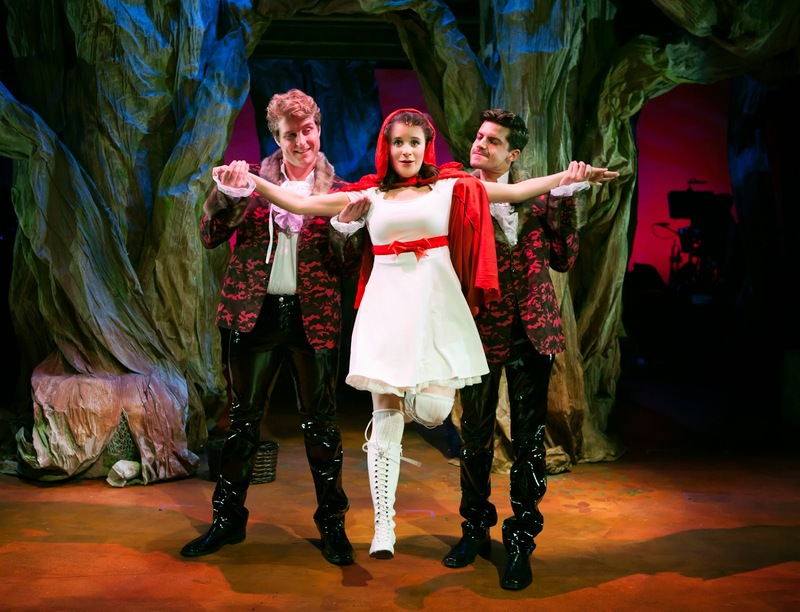 Stephen Sondheim and James Lapine's fractured fairy tale opened on Broadway in 1987 and has never gotten old. But it's long. People seeing the show for the first time are always confused when the rest of the audience is not standing and cheering at the end of million-dollar Act One. Why is the cast not taking their well-deserved bows? Well, Pilgrim, it ain't over 'til the Witch says it is. Act One gives us the happy ending and then comes Act Two, where real life takes over. The giant's wife is gunning for Jack. Cinderella is bored out of her mind. The baker's baby never stops crying and the princes aren't so charming. There are two kinds of audiences who come to musicals. One camp wants something new and different and one wants the same old thing. Sondheim is not for Group Two. He makes you think while letting you laugh. He gives you melodies, but the lyrics always come first so the music doesn't stick so easily. This is a three hour show with perhaps three hummable songs. Of course, those three ("Into the Woods," "Agony" and "No One is Alone") burrow like blind mice into your brain and stay there for days. Susi Damilano's first try at directing a musical makes her look like a natural. Act One flies, Act Two has a few fits and starts, but that's the way the show is written. 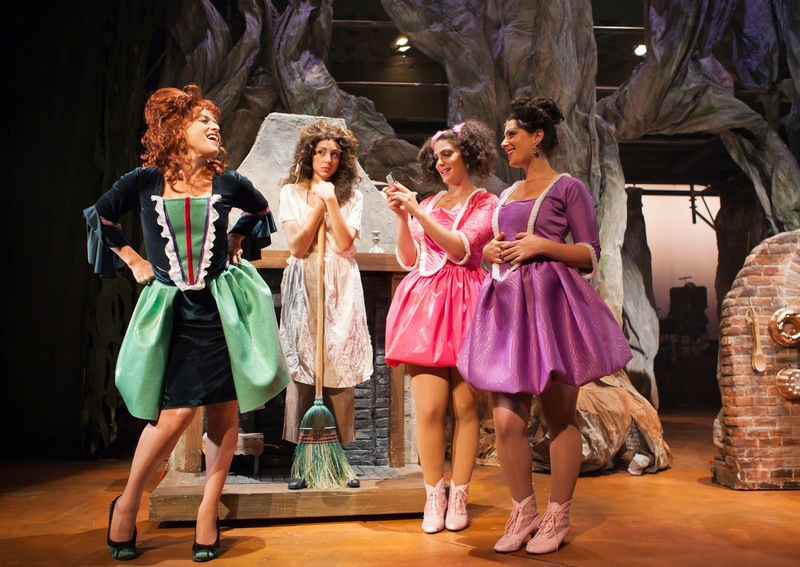 The cast is fabulous, especially Monique Hafen as foot-sore Cinderella, Corinne Proctor as the effervescent Red, Jeffrey Brian Adams as the charming-but-not-sincere Prince and El Beh as the baker's wife who finds there are other tasty buns out in the woods. Of course, there is danger as well as magic when you venture away from home. The show will run for much of the summer and is bound to draw large crowds, so we suggest you buy tickets soon. And when you come to the theatre, look around on Post Street - some of those folks you see may just need a kiss to release their curses. Let us know how that turns out. 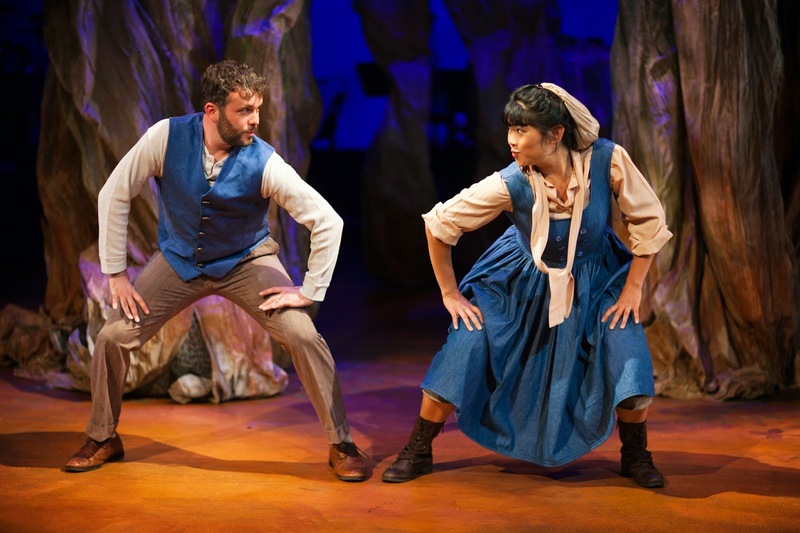 The San Francisco Theater Blog Awards Division awards "Into the Woods" Four Stars. The truth is, if the show had stopped after Act One that rarely seen Fifth Star was within reach. But the show has always both entranced and dragged in the second act. Four Stars is magic too. And Dave Dobrusky's live music enriches the whole experience. Get thee to the Woods. Dezi Gallegos is not lacking chutzpah. At eighteen, his solo show "God Fights the Plague" attempts to bite off the central theme from the last, oh, five thousand years: Is There a God? 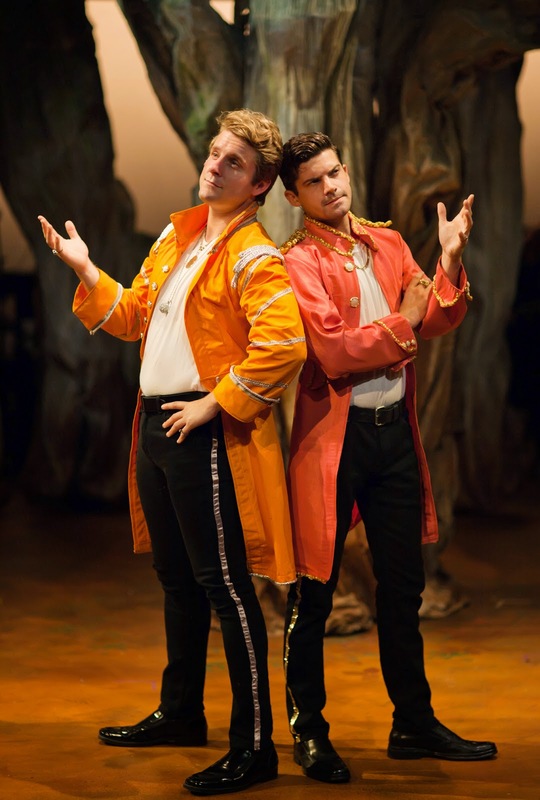 As a performer, Gallegos has some promising moments, especially when he goes deeper into character with his voice. He doesn't do it enough yet. This is a show taken from interviews Gallegos did with various religious people on the street, and unfortunately some of the stories, performed verbatim, are interesting and some are not. The show feels long. We liked the witch, we liked his opening character, the Christian woman on the bus, and Sylvia Boorstein, his American Buddhist had interesting things to say, especially the conversation about "Why me? Well, why not me?" 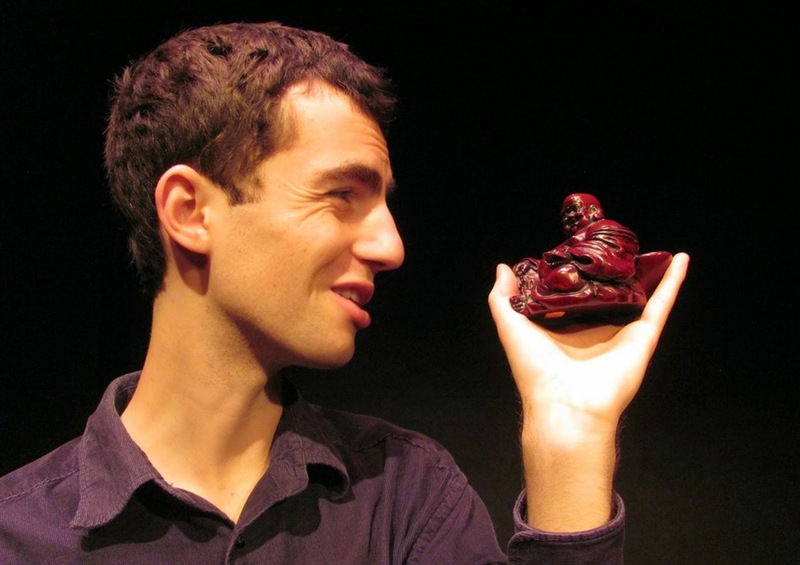 But, like this picture, if you look really closely you see he is holding up a little Buddha, but if you don't look all that closely…well, it's a little creepy. Sorry, but Dezi Gallegos is too young to be obsessing about this kind of thing. His director, Charlie Varon, well OK. Charlie has a few miles on him. He's allowed. 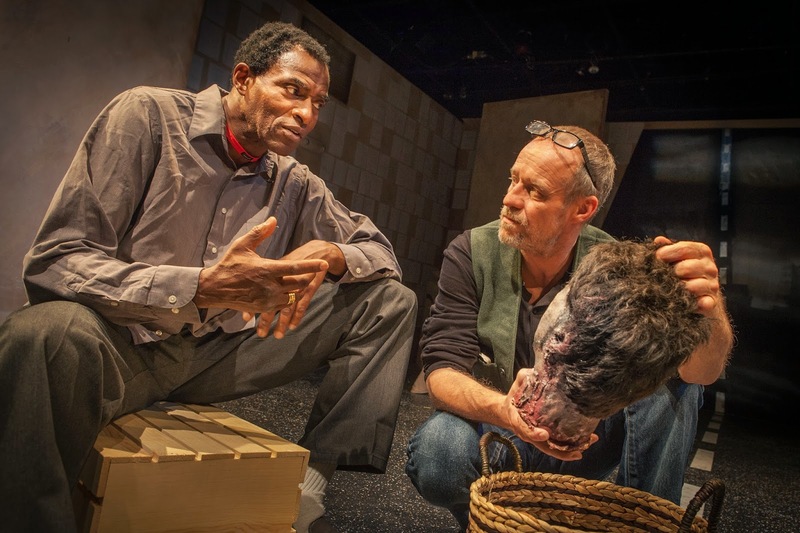 The San Francisco Theater Blog Awards Division awards "God Fights the Plague" Two Stars. Gallegos has been given a long summer run, so he has time to do some constructive editing and lose himself in his characters. For us, Act One is too long. Act Two is better, because he has gotten a little more desperate. But it doesn't feel like a Two Act play yet, and the desperation drops away by the ending. Lots of death, lots of worry, just what you want on a Sunday night. 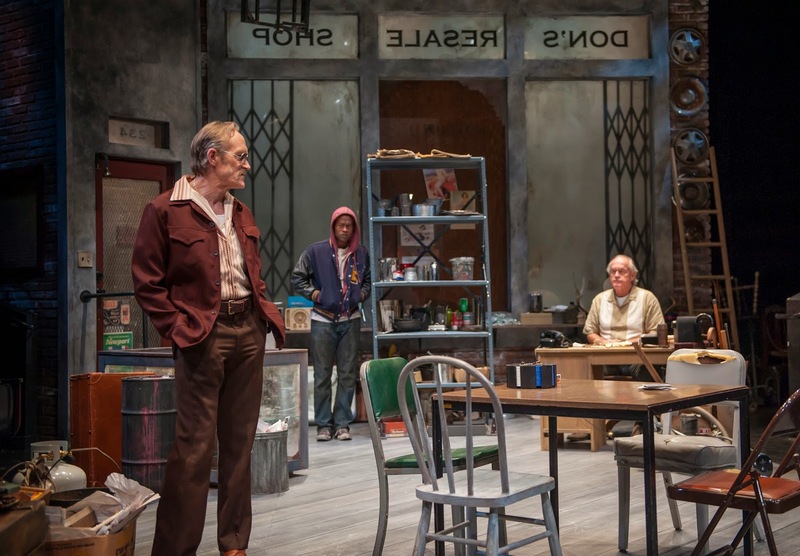 "Dezi Gallegos: God Fights the Plague"
You want to reach out and empty the cigarettes out of the ash trays when you see the set for the Aurora Theater production of David Mamet's classic "American Buffalo," directed by Barbara Damashek. The garbage strewn around the room is an apt metaphor for the low-level heist our characters are planning. Mamet gives us two men (Donnie and Teach) who aspire to be more than they are, and one (Bobby) who would be happy being just like Donny and Teach. James Carpenter's Teach makes us as uncomfortable as Paul Vincent O'Connor's Donny makes us smile. We want to reach out and pat Donny on the head while treating Teach like a loud, rambunctious kindergartner. But these are not children, they are grown men, and the desire of both to cash in on an unexpected score could have disastrous results. 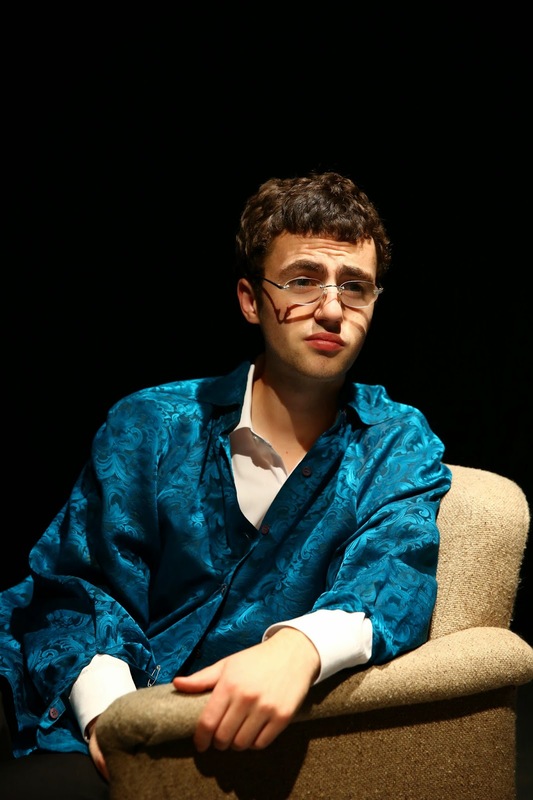 Donny, at least, is doing his best to be good to Bobby (Rafael Jordan), a younger man who appears to be a simpleton. Bobby is just trying to please his two friends, but this doesn't stop Teach from considering him a rival. 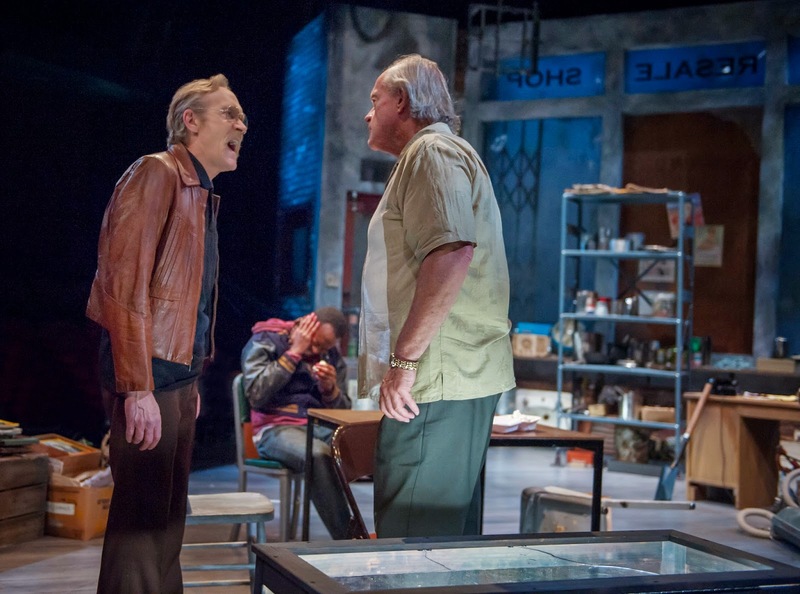 American Buffalo opened on Broadway in 1975 and hasn't lost a bit. We still cringe and shift in our seats, laugh where we're supposed to, and by the time the curtain comes down we are already wondering who is going to have to clean all this garbage off the stage. It's a great Buffalo. 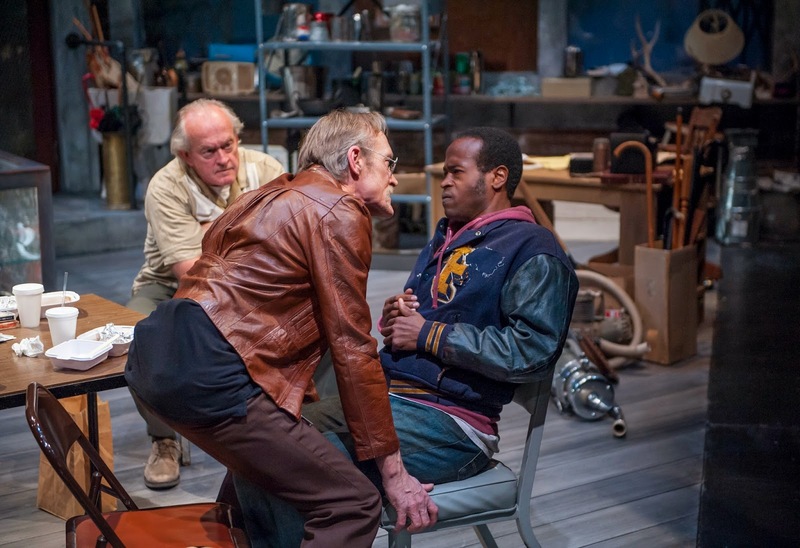 The San Francisco Theater Blog Awards Division awards "American Buffalo" Four Stars. All three actors are excellent, with a special kudos to James Carpenter who really seems to understand Teach's sublimated desperation. Terrific casting, terrific show. 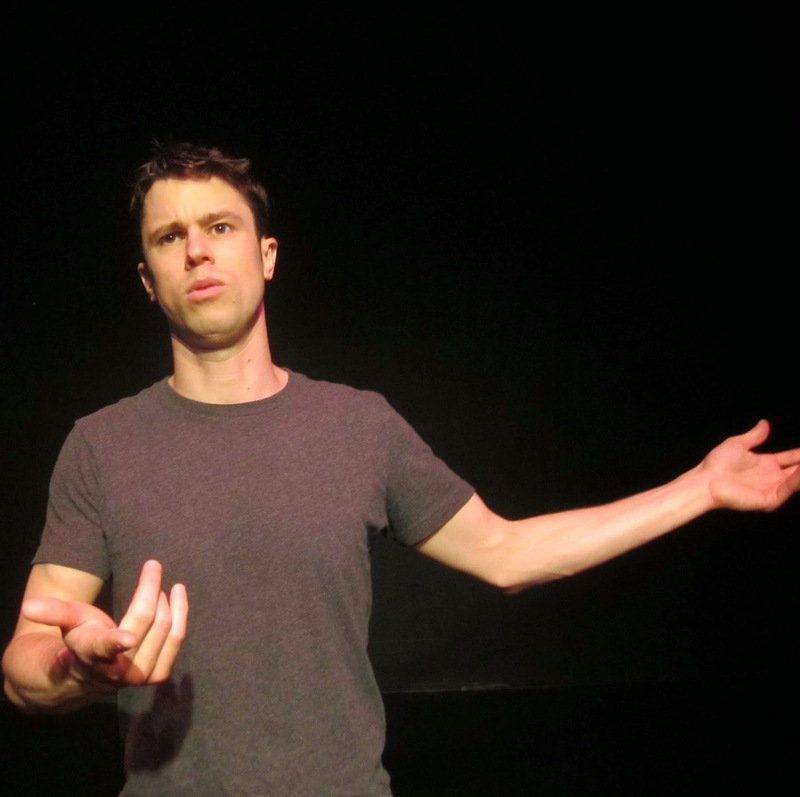 We recommend you go see any Dan Hoyle show. Hoyle has a unique and fascinating stage presence, and his shows are always filled with memorable set pieces. Go see his newest show "Each and Every Thing." But don't necessarily go right away. "Each and Every Thing" is a collection of situations involving a cast of many, all played by Hoyle. There are two principal characters: Dan and his friend Pratim. Dan is the seeker and Pratim is the wise friend. Hoyle gives us brilliant moments, as when Dan is in a coffee house in Calcutta and manages to pull off a scene with five men speaking five distinct Indian accents, one after the other. 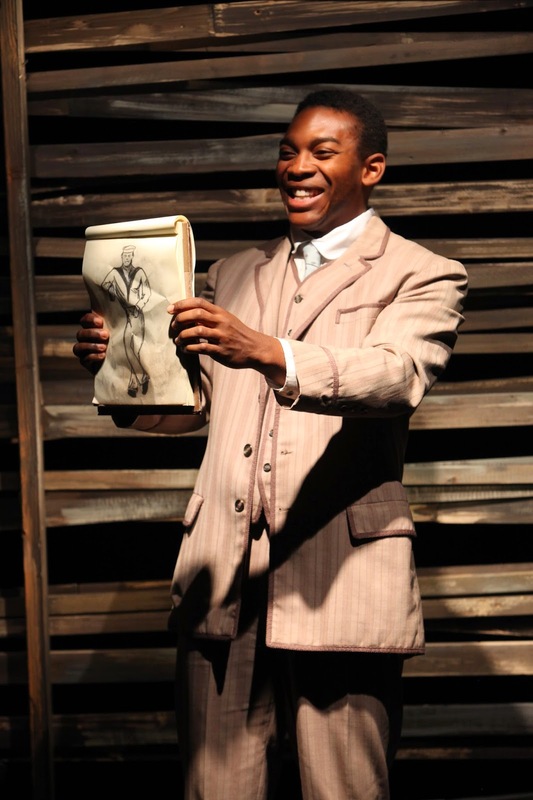 We also loved his two Chicago dope dealers, his fabulous newspaper song (written by Mars Today) and his send-up of his father, which couldn't have been easy since Dad was in the audience on Opening Night. But we also think the show needs a little breathing room. The theme of the danger of mass communication leading us away from personal interaction is interesting, but Dan himself is doing exactly what he says he fears. He wants to be a traveler, not a tourist, and yet he walks into peoples' lives, extracts their stories and puts them on stage, in much the same way as the camera-toting tourists he abhors. So we have what one expects with a new show from a terrific performer: the pieces don't really fit together yet because the transitions are nebulous. With 'T'ings Dey Happen' we had Nigeria as an exotic backdrop; with "The Real Americans" America was the subtext. But with "Each and Every Thing" the subject is Dan Hoyle himself. This is his third show so we have seen these characters before, particularly always-vapid women. Them, we know. We want to know a little more about Dan. 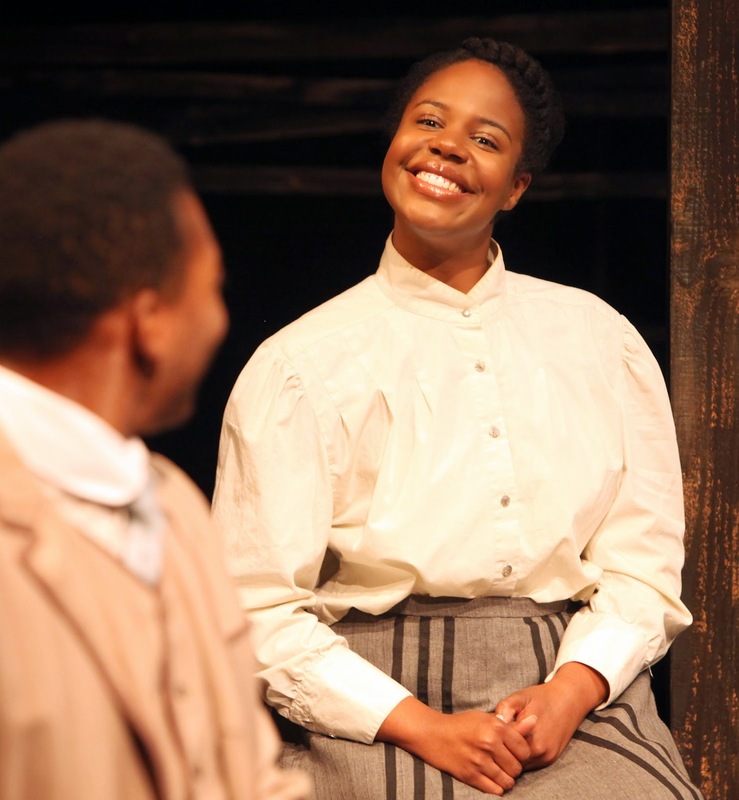 The San Francisco Theater Blog Awards Division awards "Each and Every Thing" Three Stars. Dan Hoyle gets three stars just by showing up. You will see and love this show, and if you wait to see it again towards the end of the run we think it will be even better. "Dan Hoyle: Each and Every Thing"
Charles faces us, glowering, as the lights come up at the opening of Christina Anderson's Pen/Man/Ship. Played with force by Adrian Roberts, Charles is the center of this confounding play which begins with an intriguing concept: a sailing ship, populated and captained by black Americans, is crossing back across the Atlantic in the year 1896, heading to Liberia for purposes that will be shown to be, at best, of questionable morality. We are clearly meant to see Charles as Ahab, chasing his too-powerful adversary, which is acceptance. Charles's peg leg is his alcoholism. He sees himself as a noble and powerful leader, a man who has succeeded primarily by the force of his will. His son Jacob (Eddie Ray Jackson) does not see his father in this light. Jacob is probably gay, spends his time drawing images of the deckhands on the ship, and has a love/hate relationship with his tyrannical father. Jacob has befriended Ruby (Tangela Large), who is sick of her second class citizenship in America and anxious to return to the motherland. 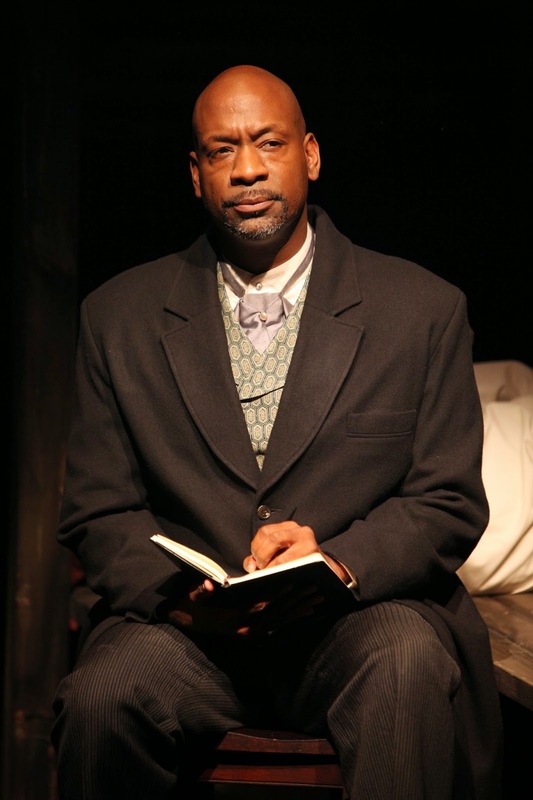 The most down-home character on the ship is Cecil, who is given an honest and quite accessible performance by Tyee Tilghman. Cecil is befriended by Charles. It is through their relationship that we see that class, not race, is what matters upon this ship. Although this might be a million dollar idea in different hands, we find the script to have more holes than a torpedoed whaling ship. Why would a Nineteenth Century male seafaring crew elect a woman with no knowledge of the sea to be their leader? What really happened during the confrontation between Charles and Monty, the unfortunate deck-hand? Why would Charles's hold over Jacob be so severe, given that Jacob understands his father drinks a bottle of gin a night? And why in the world would the crew take an action that could lead to their own deaths, the only purpose of which was to make Charles talk to them? 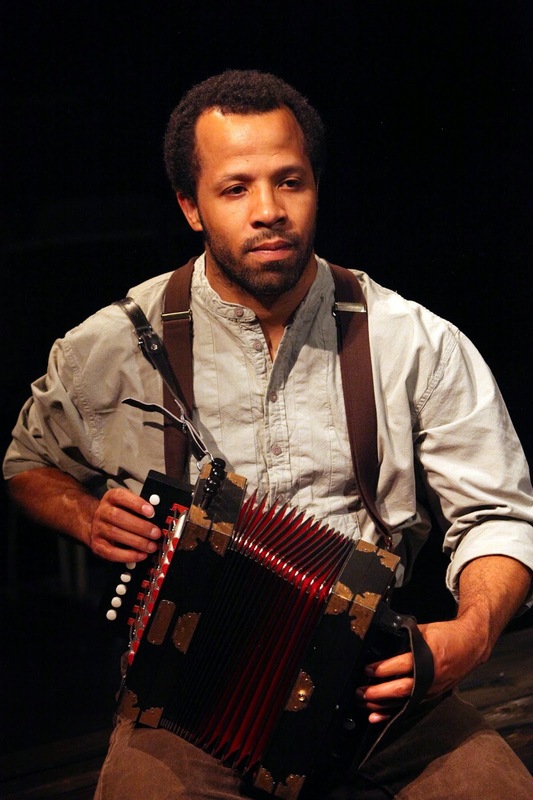 And why, oh why, would the man whose accordion is said to be his life, appear not to know how to play it? I mean, really? 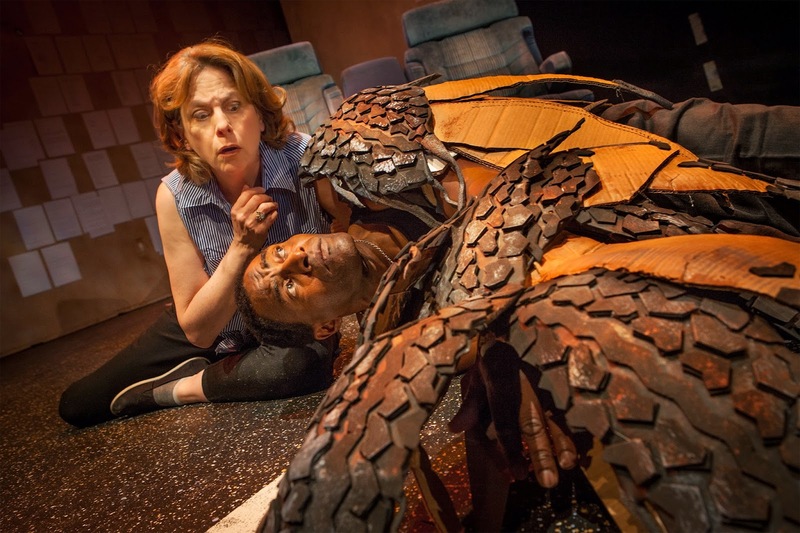 The San Francisco Theater Blog Awards Division awards "Pen/Man/Ship" Two Stars. This is below the recommended Julie Andrews Line (see explanation in Side Bar). 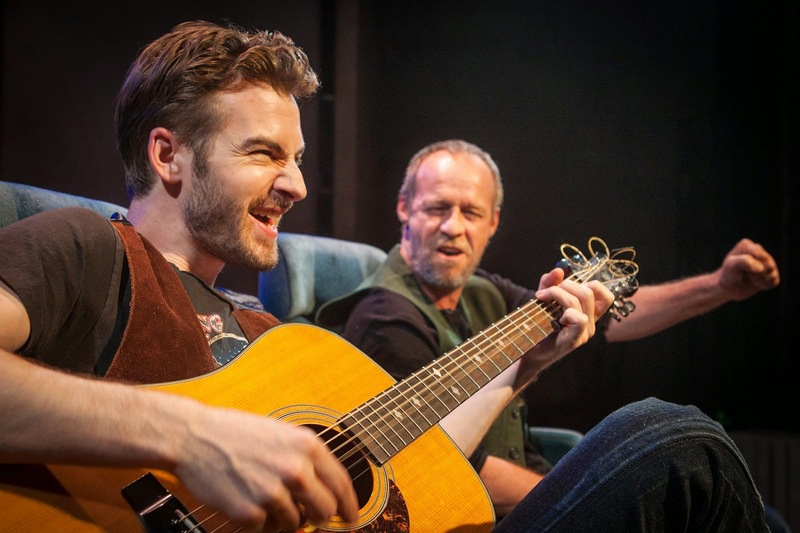 This show has received good reviews already, however, so you may want to see for yourselves. "36 Stories by Sam Shepard" ☼ ☼ ☼ ☼ ! How can it get any better than this? In Amy Kossow's "36 Stories by Sam Shepard," which is an adaptation of many Shepard stories done in classic Word For Word style, you get an incisive production, the words of a brilliant writer and, if possible, even a more brilliant cast. When we say Carl Lumbly outdoes himself as a talking head, we don't mean a CNN pundit, we mean a talking head. The beheading has most likely been done by Delia MacDougall, an assassin of no small talents, and has been discovered lying in a basket in a ditch by Patrick Alparone. Lumbly's Caribbean touch brings us to sympathize with the head, who, after all, only wants Alparone to carry him to a nearby lake and dump him in. The problem is the head is very heavy. Why? (drum roll:) Dead Weight. MacDougall is as feisty as Joanne Winter is subdued. In one typically underdone and morbidly funny role, Winter is driving her mother's ashes from Utah to Green Bay to be interred when she discovers an injured hawk (Lumbly) lying in the road. Winter's dead mother and live sister (both played by MacDougall) are along for the ride as we watch the hawk teach everyone the power of the life force. In an evening of unforgettable set pieces, this is perhaps the most memorable -- no, wait, the seduction scene, which brings us to MacDougall and Rod Gnapp. 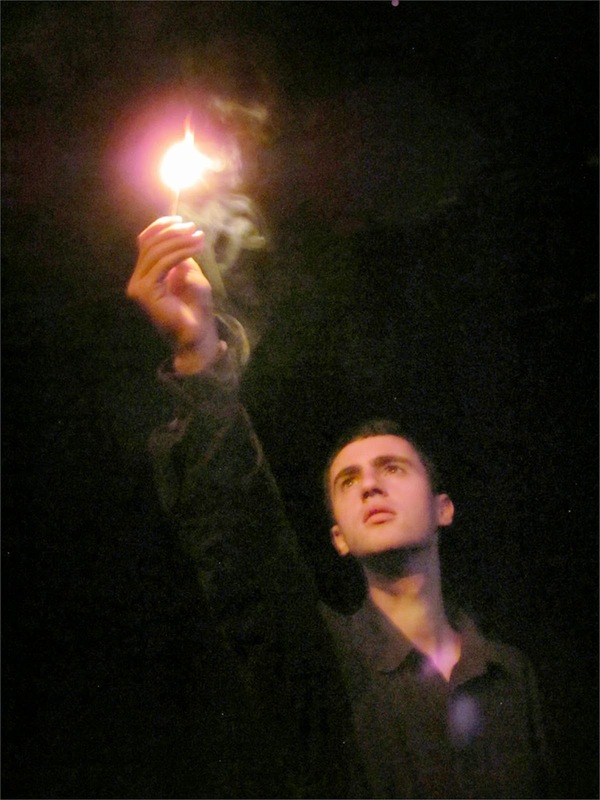 Gnapp plays the tormented (of course) but good-hearted (of course) writer whose words are being acted out on stage. Moving from town to town with no particular itinerary, Gnapp embodies the nomad spirit always at the heart of Sam Shepard's plays. We have never met Sam Shepard but would not be the least bit surprised to find he looks exactly like Rod Gnapp. Sound effects: minimal, perfect. Staging: simple, perfect. The show is ninety minutes with no intermission and you'll wish you could stay in your seat and see it again. 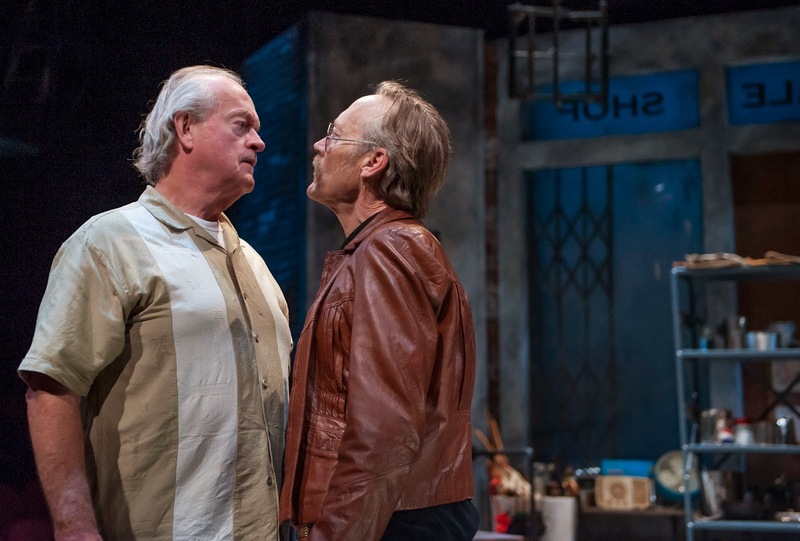 The San Francisco Theater Blog Awards Division is happy as a severed head in a lake to present "36 Stories by Sam Shepard" Four Stars with a big, sloppy Exclamation Point. 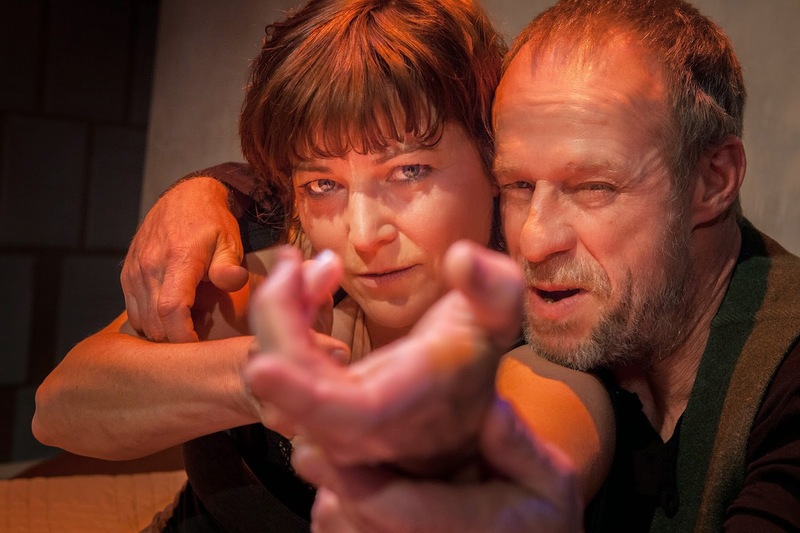 Amy Kossow has managed to wrest a single, cohesive story out of an enormous body of work, and then cast and direct it so the audience can discover the simplicity not always easy to see in Sam Shepard's works. We think above all about relationships as we smile at our own failings and those of Shepard's beloved misfits. "36 Stories by Sam Shepard"